Our reputation is built around our people and the service they provide. The quality homes, projects and services we provide are made available by the expertise of our competent team and specialist local tradesmen, who work in a professional manner, demonstrate commitment to our customers and deliver excellent service. In conjunction with Construction Skills, we currently have a record number of apprentices working for us to further develop their technical skills whilst they train at local colleges, in order to attain professional craft qualifications. We continually train, develop and support our teams, ensuring that they are competent to maintain high standards, work safely and considerately. All our Site Management hold a recognised safety management qualification. Most of our Management team progressed internally from apprentice positions, through the roles of tradesmen, site supervisors and site foremen to become Site Management. Many of our staff have over 10 years’ loyal service and several are heading towards 30 years. The company aims to be a good employer, employing local people across all departments. In line with our Equal Opportunities Policy, we promote equality and diversity and ensure the welfare, health and safety of all our staff is of paramount importance. 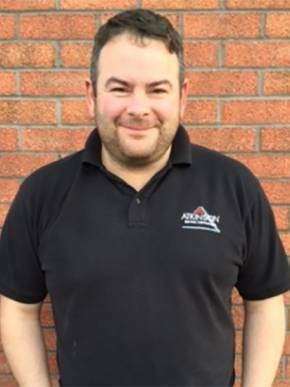 Starting his building career as a bricklaying apprentice, Steve’s natural entrepreneurial skills and drive for success saw him establish Atkinson Building Contractors in 1982. His ‘one man band’ quickly grew as result of quality, value, his reputation and local demand. 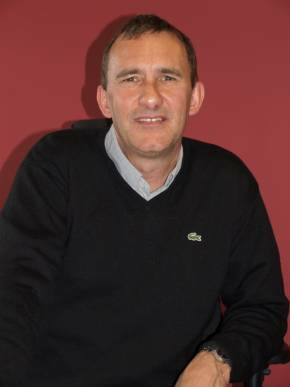 Since then, Steve has continued to invest and strategically expand the business into the successful ‘one stop building solution’ it is today, employing almost 100 people, including a significant number of subcontractors and technical specialists, with several specialist divisions and teams providing new homes and Design-Build, Electrical, Plumbing and Heating services across Cumbria. Barry joined Atkinson Building Contractors in 1990 having gained 17 years of experience in Financial Services within Lloyds Bank Group. In his keystone financial position within the company, he continues to play a fundamental part in the company’s finances, investments and growth plus asset, insurance and legal management. His role within Atkinson Homes involves the initial management of all land and property acquisitions and the initial development and planning stages of the projects. He leads our Atkinson Homes team, providing a bespoke and individual sales and aftercare service. 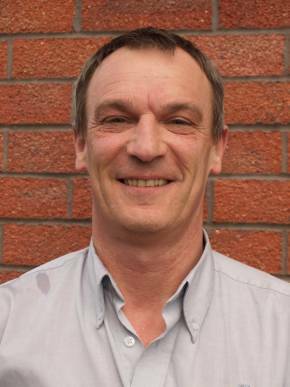 Neil has over 30 years’ construction industry experience; over 20 with Atkinson Building Contractors, progressing through various key construction management roles into his current position as Operations Director. He is a central part of the business’ contracting operations and is accountable for business critical perspectives, including construction project management, ensuring all are planned and delivered on time, within budget and in accordance with safety, quality and environmental compliance. Having achieved NEBOSH qualification and as a registered member (CDM Co-ordinator) of the Association of Project Safety, he undertakes a key company role in the company’s safety and compliance. Tony joined the Company almost 30 years ago and has gained experience in numerous key roles in building, construction and project management. 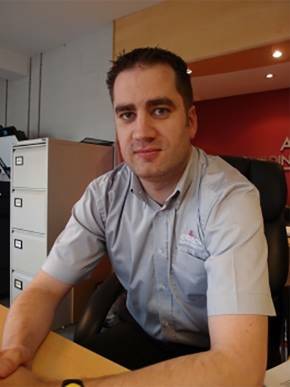 He now leads one of our primary Building Contractor Departments, covering the bespoke designs and planning applications (if required) for new-builds, renovations, conversions, extensions, conservatories etc. and Building Regulation Approval where required. Liaising closely with our customers and architects, he provides advice and guidance on individual projects. He is responsible for the project management; ensuring they are planned and delivered on time, within budget and in accordance with safety, quality and environmental compliance. Ian has over 15 years’ construction industry experience covering social housing schemes, private developments, commercial and rail contracts. 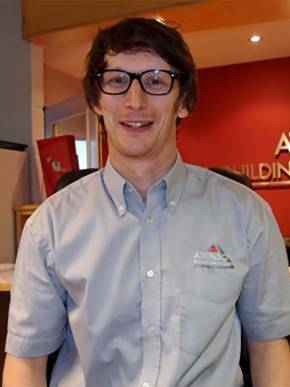 In his Contract Manager role at Atkinson’s, he works mainly within the major contracting side of the business.He supports the Operations Director and is the main point of contact for clients, site managers, architects and engineers. He is also responsible for preparing and presenting documents for tender, developing plans and estimates, including budgets and timescales, contributing to work planning, and briefing project teams, contractors and suppliers and ensuring financial controls and safety, quality and environmental compliance. Jonathan joined the company in 2005 and has worked in various departments and roles. 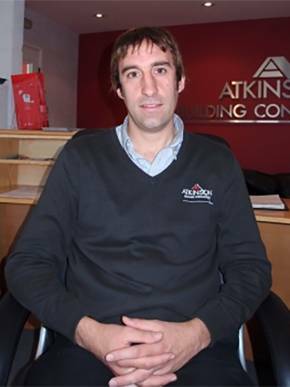 In his Contract Manager role at Atkinson’s, he supports the Operations Director and is the main point of contact for clients, site managers, architects and engineers. He is responsible for developing plans, including budgets and timescales. He also contributes to work planning and briefing project teams, contractors and suppliers; ensuring financial controls, safety, quality and environmental compliance within the major contracting part of the company. After graduating in June 1998, Richard gained valuable experience in the fields of logistical procurement and stringent production processes in the food industry. Since joining Atkinson’s in 2005, he has undertaken several pivotal roles, including managing the Procurement Department and managing the operational and commercial perspectives of our Domestic Customer business. He now works within Atkinson Homes and is involved in the initial and critical stages of land and property development following acquisition. 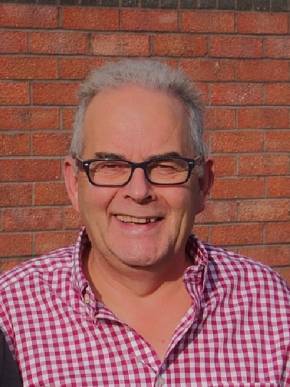 Richard has been integral in developing and co-ordinating the organisations of health, safety, environment systems and processes, successfully gaining company accreditations for nationally recognised schemes – CHAS, SAFEcontractor and attaining a Cumbria Business Environment Network (CBEN) Gold Award. Having completing the NEBOSH - National General Certificate in Occupational Health and Safety, he continues to support the positive health and safety culture across Atkinsons. 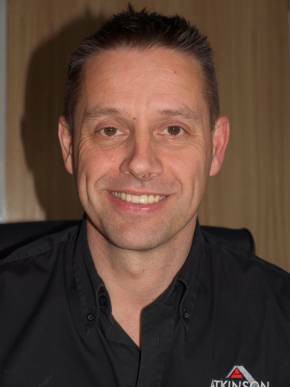 Martyn joined the company in 2001, having gained various plumbing and heating installation qualifications, plus a wealth of site based construction and property improvements experience, this saw him appointed into a supervisory then management role. His performance and personal drive has seen him elevate quickly into a Senior Project Manager role within one of our primary Building Contractor Departments and being fundamental to its success. He is the main point of contact for clients, site managers, architects and engineers, is responsible for preparing and presenting plans and estimates, including budgets and timescales, contributing to work planning, and briefing project teams, contractors and suppliers and ensuring financial controls and safety, quality and environmental compliance. Sonia has over 25 years management experience in various sectors including business improvements and compliance. Having worked as Head of Quality and Management Systems for over a decade within the Stobart Group (including haulage giants Eddie Stobart), she has extensive experience of developing management systems to comply with statutory regulations. 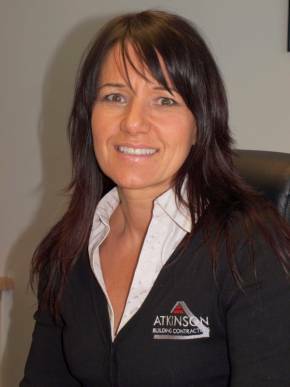 Within Atkinsons, she is working with our teams to continually improve performance and compliance by developing our health, safety, quality and environmental systems to ISO9001 Quality Management Standards and monitoring via internal audits and inspections.